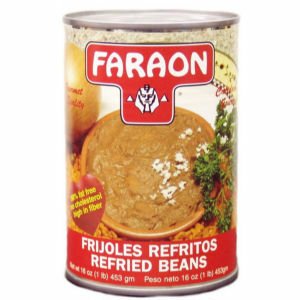 Faraon Refried Beans are now improved in quality and taste! They contain no lard and now uses canola oil. These marvelous beans are a tasty key ingredient for your Mexican cooking or for your 100% vegetarian servings. Simply add cheese or serve with rice and your favorite meat and you will have your guests complimenting your great cooking skills.